I spent some time this weekend in B&H looking at tripods. You may have seen the ad campaign by Benro promoting their new Travel Angel line. 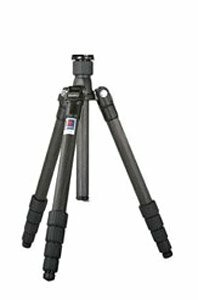 Benro is a major Chinese manufacturer of tripods. The Travel Angel is their high-end product which directly targets Gitzo’s Traveler line. Gitzo created the first Traveler with legs that can rotate 180 degrees on their hinge to collapse over the tripod head. So, instead to the tripod head sticking out, adding additional length to the collapsed tripod, it is tucked away between the legs. It’s a great idea. Now, Benro’s Travel Angel does the same thing. Both Gitzo & Benro have several models in their lines. But, the real comparison is between Gitzo’s GT1541T and Benro’s TRCB169. I have had several Manfrottos over the years all with flip-lever locks. I like flip-locks. I had a bad experience with twist-locks years ago and stuck with the flip-lever locks ever since. Both the Gitzo & Benro have twist-locks. I started with the Benro first. The weight was very good and the carbon fiber felt solid with a good finish. Negatives: The leg hinge does not snap in place and it never felt secure. In fact, the demo model was so loose that one leg swung without any resistance. One of the sales reps at B&H tightened it with a hex-wrench, but do you normally carry one? Then, there was the twist-locks. I hated them! Every time I adjusted one twist-lock, it loosened the one above directly above it. I eventually closed the entire tripod and re-tightened all twist-locks to be sure that I started in “best” closed position. Still, even then, when I opened the entire tripod, one leg always gave. These twist-locks need to be checked and rechecked before you mount a camera! B&H had a special kit version of the Traveler with a Benro head. The center column is shorter than the standard TRCB169, so the head is tucked below the folded legs keeping the entire closed length at 14″. But, I doubt this head could handle the full 17.6 pounds. I then picked-up the Gitzo. From the first touch, I knew why it cost so much more. The Gitzo felt lighter but just as solid! Every part had a superior finish. Opening one leg, the hinge snapped securely into place! Adjusting to a wider leg stance is just a matter of sliding the hinge. And, these twist-locks were completely different. There was a definite feeling opening the twist-lock and securing the twist-lock. Once closed, these twist-locks felt secure and did not accidentally open when the twist-lock beneath was adjusted. Negatives: the price! It is also two-inches longer than the Benro without a tripod head. However, the closed diameter is actually smaller than the Benro, making the Gitzo easier to fit into a backpack side-mount. 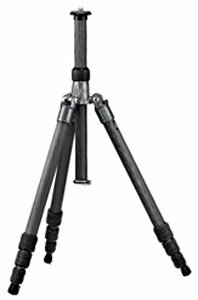 If you are looking for a carbon fiber travel tripod under $400, take a look at the Benro TRCB169. At only 14″ closed, the Travel Angel is very portable and can still handle an 18 pound load. Just be sure to double check ALL twist locks before use. For the money, the special kit version at B&H may fill the bill. However, if you can afford it, the Gitzo GT1541T is definitely in a league of its own.